You probably heard of these obscure things called pre-workout supplements before and brushed them off as only useful for bodybuilders and strength training. While it is true that most pre-workouts are targeted at building muscle, they can also play a big role in improving your cardio workouts as well. This article will help you choose the best pre-workout supplement for cardio. These products are hand-picked to help you have the energy and stamina to perform at your highest level. What is Cardio Good For Anyway? What Activity Classifies As Cardio? Can You Take A Pre-Workout Before Cardio? Ok, How Long Before Working Out Should I Take It? Is It Bad To Do Cardio On A Pre-Workout? When we say “cardio,” we mean basically any physical activity that engages your cardiovascular system - aka your heart, arteries, veins, and other blood vessels - and increases your heart rate for a period of time. Along with increased heart rate, there will be an increase in the amount of blood pumped from your heart, air taken in by the lungs, and elevated body temperature. Cardio exercise ultimately improves the function and efficiency of your heart, lungs, and the overall health of your body. Cardio is also commonly called aerobic activity and involves anything that raises your heart rate. Common aerobic activities include running, cycling, sports, jump roping, swimming, parkour, rollerblading, skateboarding, etc. These type of pursuits traditionally include movements that are repeated over and over again over the course of the training. Not only does it help in burning fat, but a well-chosen supplement also gives you energy and improves the performance of your body as well. Personally, I think it is a great idea to use a pre-workout supplement before cardio exercise. Just be sure to take it 20-30 minutes before your workout (and not on an empty stomach) to maximize results. You certainly don’t want to become dependent on any special powder or drink in order to power through your elliptical or stair climber session. However, when you have a case of “the Mondays” you will be 72% more motivated and energized after you whip up the right concoction. So no, it is not bad to use a pre-workout for cardio. You just need to be aware of your tendencies and avoid using it before every single session. 1-2 times a week is a good cadence to shoot for. The first and perhaps biggest benefit is the increased energy and motivation boost. Thanks primarily to good ‘ol caffeine (found in most pre-workouts) and a few other special ingredients you are almost guaranteed to be motivated to start moving your body and get your heart pumping. The next benefit is increased focus and performance, which can be a byproduct of the increased energy. With higher energy levels, you are more inclined to really focus on the aerobic activity in front of you and put up your best performance. You can even choose stimulant-free options containing components like Tyrosine and Beta-Alanine to still improve your performance. Now let's jump into the best options out there. We categorized each chosen product into who it is ideal for. 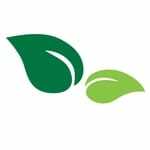 That way you can choose the right product that fits your lifestyle, whether you are looking for the overall top choice or want the best value for your dollar. Legion Pulse is one of the best nitric oxide (NO2) based pre-workouts. The product has excellent results when used for cardio exercise. It has a fat-burning formula which is great for those who want to reduce their cholesterol level. The profile of ingredients will enhance blood flow, hydration, energy output & energy levels, allowing you to finish your session stronger than ever. It is creatine-free and contains an amazing blend of proteins that ensure you won't lose muscle strength. This supplement makes you feel energized for long periods of time without the inevitable "crash" you might get from too much caffeine. It is an excellent choice for anyone looking for the best pre-workout for cardio with its natural ingredients. Note: This product is one of the more expensive options around, but we feel the high-quality is worth the extra price. Sheer N.O. Nitric Oxide Booster is a great cardio supplement. Nitric oxide is a chemical that helps increase endurance and strength. You can get quick and lasting results with the use of Sheer N.O. It contains a blend of healthy ingredients that are sure to help your muscles grow. This is a very popular nitric oxide supplement used by athletes and bodybuilders. SHEER N.O. boosts muscle growth while benefiting your heart and immune system. It also helps your body produce more nitric oxide, giving you more energy to keep going during cardio. The product promises that it is good for your heart. It contains no artificial sweeteners or flavoring, while making you feel stronger and more powerful instantly. Cellucor C4 is available in a variety of great tasting flavors and is another solid option with tons of fans. It is well known for providing lasting energy and endurance due to its blend of powerful ingredients. If you get tired of the same flavors day after day, this pre-workout supp will help keep you going with its wide variety of delicious flavors. Creatine and Beta Alanine present in the Cellucor C4 help you perform very well when you are doing any cardiovascular exercise. This product also contains special fat burning component, which will help you lose calories during your cardio sessions. Using Cellucor C4 helps you perform very well when doing cardio and is highly recommended by gym trainers everywhere. Do your muscles a favor, and give yourself a pre-exercise elixir that is full of all of the powerful ingredients your body needs to make every minute count during your workout! If you are looking for a pre-workout supplement for cardio that not only gives you an energy boost but is also good for your heart, then Cardio Igniter by Top Secret is the answer. It contains natural ingredients that give you a great energy boost during your workout. As the name suggests, it is specially designed to help improve your performance during cardio exercise. It gives you a great boost of energy while increasing your focus and helping you stay wired for a longer period of time. For the health conscious out there, Igniter is an excellent choice. Cardio Heart Health contains l-arginine, which is an amino acid. L- Arginine is useful for the health of our heart and is a nitric oxide booster. This product energizes your workout and keeps you going longer. The product is a solid choice for people who want a pre-workout supplement that helps regulate the cholesterol level. It is sugar free and suitable for health conscious individuals. It contains stimulants that are not harmful for your heart. This product effectively provides you energy and the strength you require before doing cardio. You can take it every day and get great results every time. Cardio exercise is a great way to manage different health conditions. If you want better stamina and increased strength, I suggest implementing more cardio sessions throughout your week. 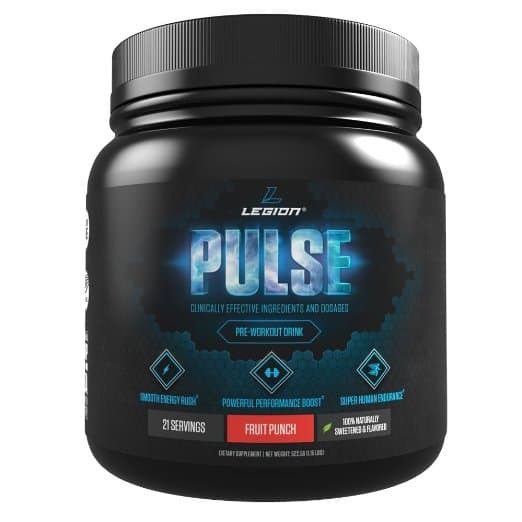 And to give your training that extra boost, we recommend you click here to try out the Legion Pulse Pre-Workout to start consistently smashing your PR's. Doing aerobic activity three times a week increases your overall stamina, burns calories and helps in managing different health conditions. Cardio ultimately improves the function and efficiency of your heart and lungs, and the overall health of your body.